The Graduate Program draws on the rich art history resources of two leading institutions, Williams College and The Clark Art Institute. This unique collaboration defines key features of the Program, from its faculty and curriculum to its facilities and intellectual culture. At Williams, students collaborate extensively with the Williams College Museum of Art (WCMA) and the Chapin Rare Book Library. The program is also affiliated with the MASS MoCA, a multidisciplinary center for visual, performing, and media arts located in North Adams, a few minutes from Williamstown. The Program also collaborates with the Williamstown Art Conservation Center, located in the Stone Hill Center, a new Tadao Ando-designed building on the grounds of the Clark. The Clark Art Institute is both a major art museum and a leading center for research and higher education in the visual arts. Building upon the founders’ legacy, the Institute has recently completed a significant expansion and renovation, including a new wing designed by Tadao Ando. The Institute’s director, curators, and research program staff teach in the Graduate Program on a regular basis. The Manton Research Center houses the Clark’s Research and Academic Program, which in addition to its fellowship program organizes year-round scholarly activities, including Clark Lectures, Conversations, Colloquia, Symposia, and Conferences. The Manton building also houses one of the largest art research libraries in North America, consisting of more than 200,000 volumes, 600 current periodical subscriptions, and a substantial collection of visual documentation in a range of formats. All graduate students are issued carrels in the library, which is open for study seven days a week. Graduate students may intern both in the museum’s curatorial and its research programs as well as other units of the Clark. 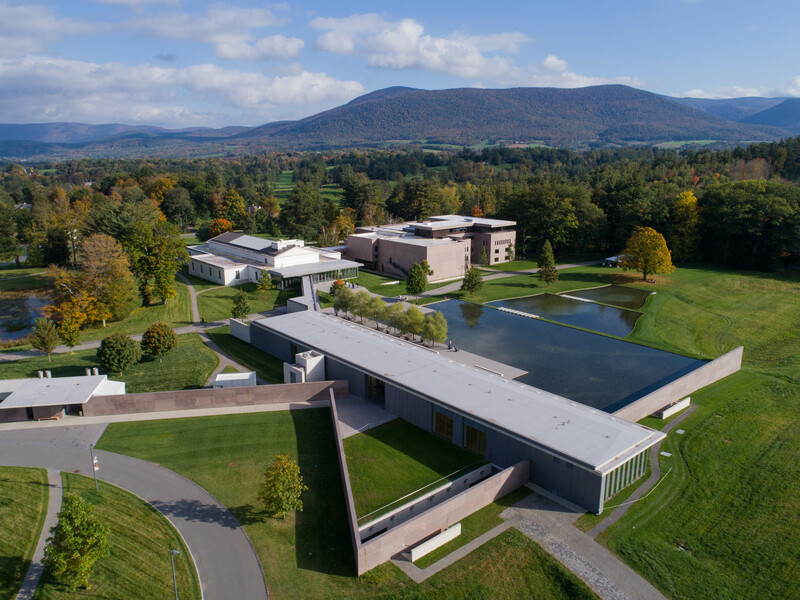 One of the finest college art museums in the country, the Williams College Museum of Art (WCMA) houses 12,000 works that span the history of art. WCMA’s director and curators participate in the graduate program on a regular basis, including the supervision of internships and related special projects. 2016: Aerial views of the Massachusetts Museum of Contemporary Art from drone. Since opening in 1999, MASS MoCA has become one of the world’s premier centers for making and showing important contemporary art, including large-scale and complex installations impossible to realize in conventional museums. The 13 acres of grounds in North Adams, Massachusetts, encompass a vast complex of 19th-century factory buildings. 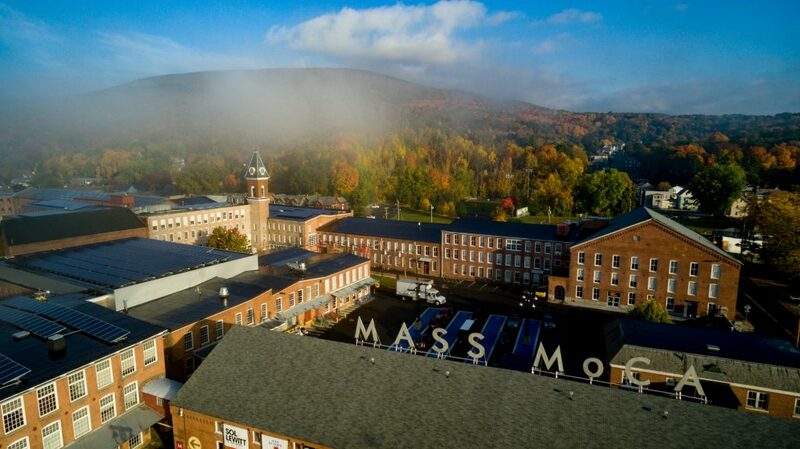 MASS MoCA also hosts more than 75 performances staged year-round, including popular music, contemporary dance, alternative cabaret, world music dance parties, outdoor silent films with live music, documentaries, and avant-garde theater. Curators at MASS MoCA participate in the Graduate Program, including supervising internships and related projects. 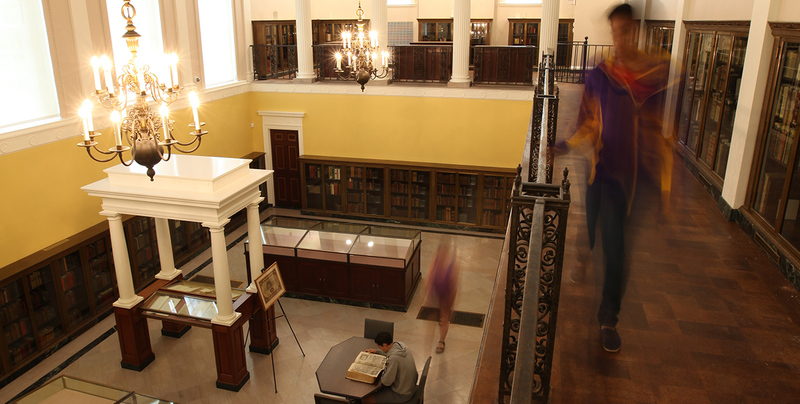 The Chapin Library constitutes one of the finest collections of rare books and manuscripts at any American college or university. Students in the Graduate Program have pursed a range of internships at Chapin Library, including the organizing of exhibitions. The Williamstown Art Conservation Center (WACC) is a nonprofit regional conservation facility located on the campus of the Clark, in a building designed by Japanese architect Tadao Ando. 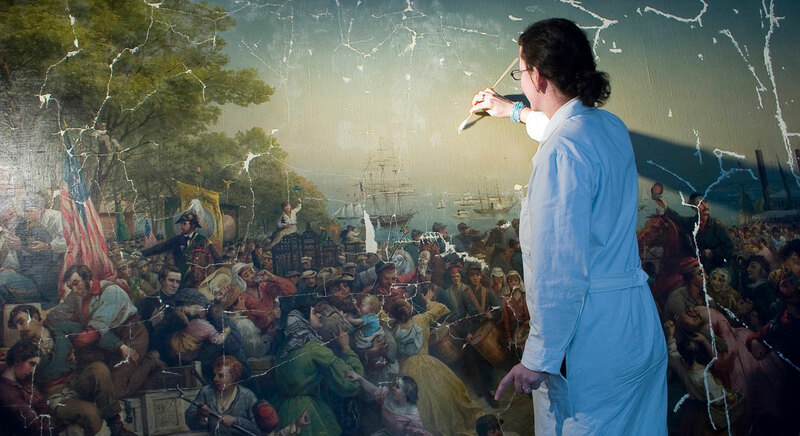 Conservators teach an annual graduate course on the principles of art conservation. WACC also offers an internship for graduate students seeking special projects.